Brittney Johnson made her debut as Glinda in “Wicked” on Broadway in New York Thursday night and in the process, the actress broke down barriers and made history. “Simply Grateful. See you at 7! #BlackGlinda,” the actress posted to Instagram last night. Johnson made history in the famed musical as the first black actress to star as the legendary “Good Witch” in an English version of the show. Fellow actors and Broadway fans were overjoyed with this sign of progress and growth in the arts. “YES MAAM. WE DID IT. 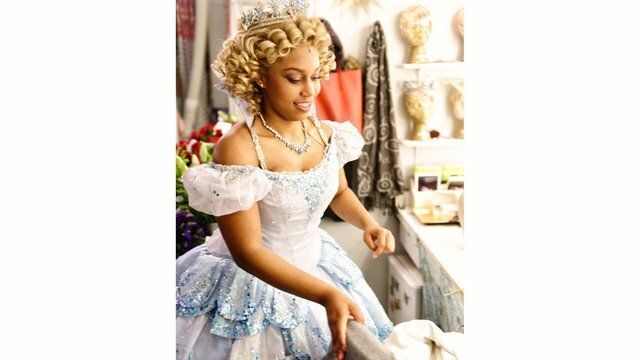 WE GOT THE FIRST AFRICAN AMERICAN GLINDA,” one fan who attended the show last night wrote. It was an iconic night for sure and one that fans voiced really shows how much representation matters. In June, Johnson announced she was joining the show with an inspiring quote.